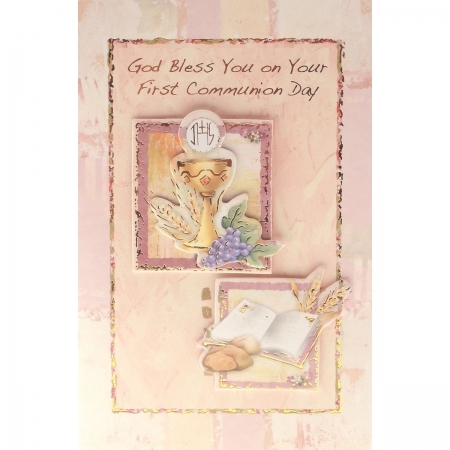 Present your gift accompanied by this beautifully hard crafted communion card. The card is printed with many of the traditional communion symbols such as chalice, grapes, wheats and bread. This card is handmade with the symbols struck on in layers.